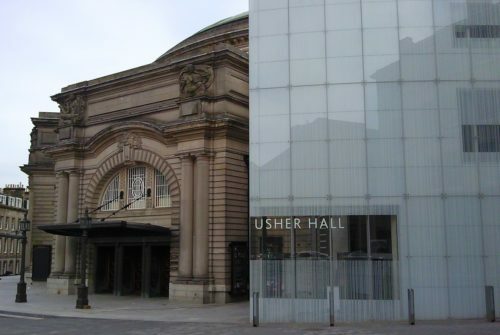 The Usher Hall is a Grade A listed concert hall in the heart of Edinburgh. 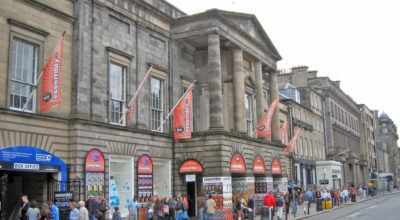 It is the home of the Royal Scottish National Orchestra and regularly hosts a range of other companies including the Scottish Chamber Orchestra, Scottish Fiddle Orchestra, National Youth Orchestra of Scotland and the Edinburgh Royal Choral Union. 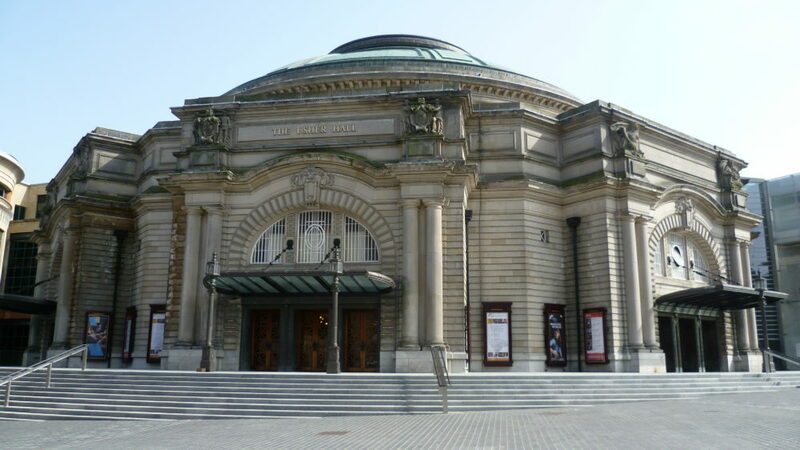 The Usher Hall is Scotland’s only five star concert hall and is a main venue for the Edinburgh International Festival. 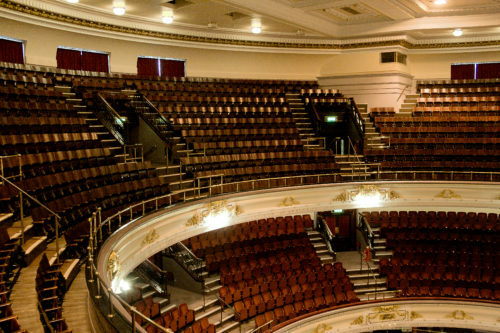 The concert hall is often praised by performers for its acoustics. 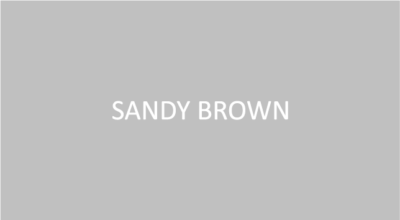 For over thirty years Sandy Brown has been involved in the renovations and improvements to this prime venue, providing advice on all architectural acoustics issues and on the design of building services noise and vibration control measures. complete replacement of the mechanical and electrical services. a new extension with foyer and hospitality areas. 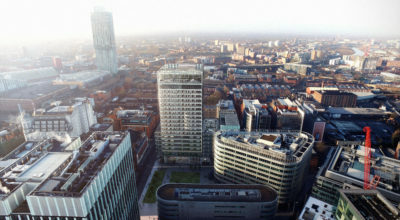 One of the key issues was the upgrade of building services systems. Comprehensive investigations of the acoustic performance of the auditorium ventilation system were carried out. Although reaching noise levels down to NR 21-23, the new systems were found to be un-balanced, and airflow regenerated noise in the stalls supply floor grilles was also established as a cause of noise excess. Upgrades to the systems were designed and implemented in later phases of work and this reduced noise in the auditorium down to NR 17-20 in concert mode. Achieving such low noise levels also required upgrading of the auditorium envelope to reduce external noise ingress. 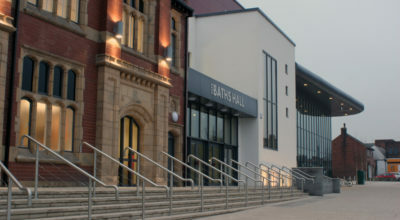 As with many historic venues, limitations arise as a result of the planning and layout of the existing building, access and listed building constraints. 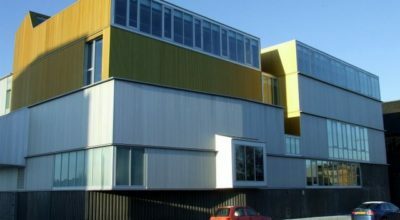 Factors that could easily be resolved in a new build facility are often not always possible, and compromises are involved. One such limitation was shared ductwork required between foyers and the auditorium – something that would be avoided in a new build facility. In this case, crosstalk attenuators were specified so that the attenuation via these routes is greater than the attenuation provided by the sound lobby door arrangement. Rooftop plant was fitted with noise and vibration control measures. As the plant is not directly over the auditorium it only needed to achieve a noise level sufficiently below road traffic noise outside the main auditorium roof dome, and the cupolas above the foyers. Given that plant noise design targets at key rooftop locations were not stringent, we were able to provide guidance into value engineering exercises to realise cost savings, whilst still meeting appropriate noise criteria for the project.